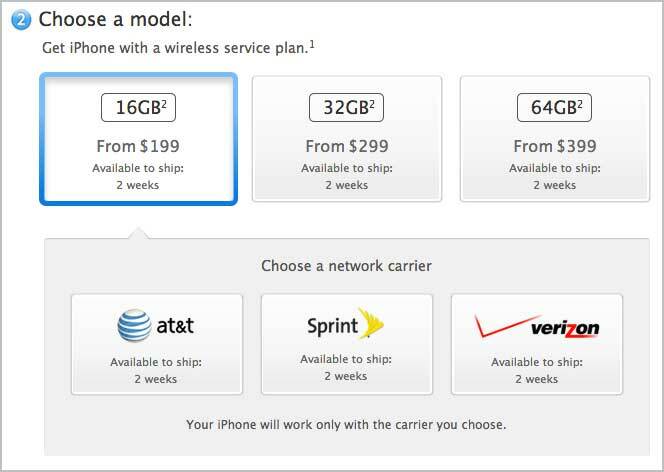 Apple's online store is now showing two-week delivery times for all iPhone 5 models, suggesting supply is finally catching up to demand, while the company's annual one-day Black Friday sale was officially announced. Update: The dedicated Black Friday sale webpage has gone live on the U.S. Online Apple Store. It appears that Apple may finally be catching up with demand for its popular iPhone 5 handset as its online store is showing ship times of two weeks as of Monday, an improvement from the two to three week quotes seen earlier this month. After seeing preorders top two million units in its first 24 hours on sales, supply of the iPhone 5 has been severely constrained. Apple announced that it had sold over five million copies of the handset over the first weekend of sales, noting that initial shipments were sold out as demand was outstripping supply. According to a source from Apple's manufacturing partner Foxconn, the iPhone 5 is "the most difficult device" the company has ever assembled. Contributing to the phone's complicated production is the use of advanced in-cell touchpanel technology and a uni-body aluminum chassis, the latter of which sparked a minor controversy when new units were being shipped with visible blemishes. Rumors have been circulating that Apple is preparing to launch factory unlocked versions of the newest iPhone sometime in December, however AppleInsider was unable to corroborate those claims. Apple email regarding Friday's sale. 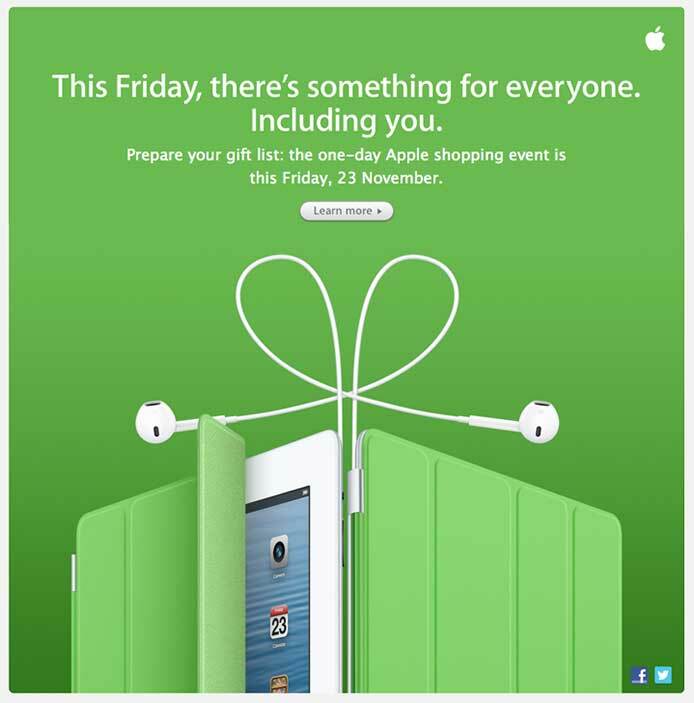 Apple on Monday sent out emails notifying customers of the company's one-day only sale scheduled for Friday, Nov. 23. In the U.S., Black Friday takes place the day after Thanksgiving and kicks off the holiday shopping season, with many retailers opening early to offer store-wide discounts. Interestingly, those on Apple's mailing list are being directed to Australia's Online Apple Store, presumably because it will be the first major market to take advantage of the sale. As of this writing, Apple's U.S. website does not yet have a dedicated Black Friday page. The company has yet to detail what products will be part of the sale, however last year authorized resellers served up major savings and are expected to do so again in 2012. AppleInsider will be covering the upcoming sales as they are announced later this week.